What is the Sales Mastery Program? The Sales Mastery program is our premier ongoing Sales Training Program. We stress ongoing, incremental learning in a highly interactive, comfortable, and highly professional learning environment. This program is semi-private and is not open to public enrollment. Applicant individuals or companies are carefully assessed prior to enrollment into the program to assure the program's continued success and integrity. Before entering the main program, new attendees complete a 11-week "Foundations" program that introduces and acclimates the applicants to the learning environment and provides a base of knowledge about the Sandler concepts, theories, and approaches. James has been my Sandler trainer and coach for the past year. Opening a new business is a scary prospect. As a new business owner with no formal sales training, and being the one responsible to bring new clients through the door, this is both daunting and challenging. Through the Foundations training and weekly President's Club, James equips me with the tools to do this aspect of my job more effectively. He brings real world sales experience into every session and holds all of us accountable for improving our techniques. The weekly President's Club classes have been especially helpful in being able to drill in more deeply into each component of the Sandler system. The ability to roleplay with other business owners and sales people has been invaluable for integrating the Sandler techniques into my day-to-day sales opportunities. I would highly recommend James and Top-Tier to anyone who is looking to jump-start their sales career or take their existing performance to the next level. That's where the Sales Mastery Class comes in. 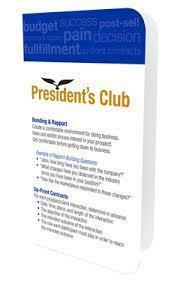 We've designed the Sales Mastery Program (President's Club) as the ideal "change environment". Each interactive training session presents you with an exciting combination of workshops, real-world role plays, problem solving clinics and ongoing reinforcement. Our background and experience allow us to provide plenty of individual feedback and coaching, plus you also benefit from the input of other Sales Mastery members. To help you make these skills your own, Sandler merges the latest research theories on Adult Learning Methodology, or "how adults learn," with approaches that founder David Sandler used instinctively. These two sources combine to form a unique and cohesive learning model for the Sales Mastery Class. You progress from awareness of selling concepts to deep understanding of them. 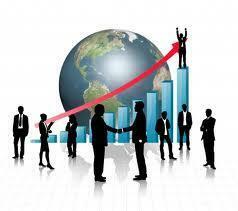 Then you begin to apply the material to the real world, especially your particular business environment. When undertaking any new venture where obtaining a new ability is the focus, one grows in stages as it relates to that ability. There is a progression involved that is consistent, no matter what the undertaking regards. Members of the Sales Mastery Class have accepted that these five stages of growth apply, without exception, in their endeavor to achieve the level of sales success the know is possible. 1. Awareness - In order to grow, one must first be aware that growth is both needed and possible. 2. Knowledge - Once aware, one must seek to acquire the knowledge that is most relevant and beneficial in providing the type of growth he/she desires. 3. Application - Obtaining the right knowledge is one thing, but only with application of that knowledge does growth start to "take form" and the true seeds of change begin to take root. 4. Skill - Consistent and correct application of your newly acquired knowledge and abilities is the only way to develop a bona fide skill. A skill can be thought of as an ability that is able to be performed at a high-level with a high rate of success in its completion. 5. Habit - After executing a skill for so long, it becomes second nature. Conscious thought is no longer required to successfully execute, as a habit has developed, and to perform in any other manner yields a certain level of discomfort or at the very least, significant effort. Although I've been in sales for the last 15 years, my membership in the Sandler President's Club has assisted me in closing more deals. I appreciated your coaching with all the different selling obstacles I faced. I highly recommend you and Sandler Training for companies that want to see immediate sales results. The Sales Mastery Program (President's Club) makes it easy to build a successful and satisfying career as a high-powered professional salesperson or executive. It puts you in control of interactions with prospects and clients, and ultimately, in control of your future. So, join the club... It's your move. Ready to learn more?